For fifteen years Maria Devane has been desperately, passionately in love with Dante Romano. But despite loving him with all of her heart and soul, Maria knows that Dante can never give all of himself back-at least not all the time. Every month, Dante shifts shape, becoming a wild animal. During those times, he wanders far and wide, leaving Maria alone. He can't choose when he shifts, the transition is often abrupt and, as he gets older, the time he spends in human form is gradually decreasing. But Maria, who loves him without hesitation, wouldn't trade their unusual relationship for anything. Sharon Shinn is a journalist who works for a trade magazine. Her first novel, The Shapechanger's Wife, was selected by Locus as the best first fantasy novel of 1995. 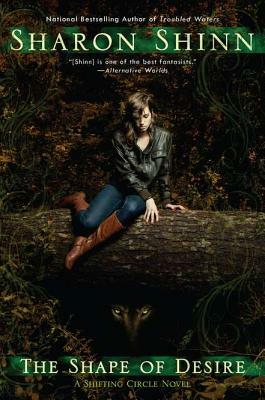 She has won the William C. Crawford Award for Outstanding New Fantasy Writer, and was twice nominated for the John W. Campbell Award for Best New Writer. A graduate of Northwestern University, she has lived in the Midwest most of her life."